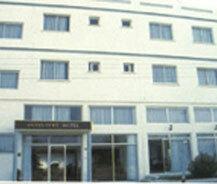 Guzelyurt Hotel is situated at the city center in Bahcelievler Boulevard. As it is situated in the city center the airport is little bit far away at a distance of 58 kms. This is reachable within one hour but as it is situated in the center of city the other attractions of the city are very near and reachable within minutes. Even though it is situated at the center of city the hotel is surrounded by natural beauties. Those beauties include citrus orchards and the green part of mountains around that area. This is one of the places with great sceneries all around and all those are visible to visitors from the room as it engulfs balcony. Guzelyurt Hotel has a capacity of holding 38 beds in the order of accommodating two beds per room at the total of 19 rooms. All these rooms have facilities like mini bar, satellite TV, hair dryer, safe case, direct telephone line, bathrooms with shower and total privacy. The hotel also has bars and restaurants which serves the guests all around the day with care and in gentle manner. The bar in the hotel provides all kind of drinks and entertainment to guests. The hotel also treats everyone with great hospitality.